An ABB 2600 is moving components to and from incoming pallet, lathe, purging, measuring, Vision inspection, grading and exiting pallet. The details arrive in the cell through a pallet conveyor. A Vision camera guides the robot when picking. The components are placed on top of each other, separated by a liner. The entire cell is run by a separate operator panel making it easy to operate. A Fanuc LR Mate picks details from palettes transported on a conveyor belt. The robot places and locks each detail in a machine performing several different operations. Beneath the component there is a band of light, giving each detail a sharp contrast. The Vision camera takes pictures relaying coordinates for processing to the machine. The entire cell is run by a separate operator panel making it easy to operate. A Fanuc LR Mate serves the lathe and is placed on top of the machine. 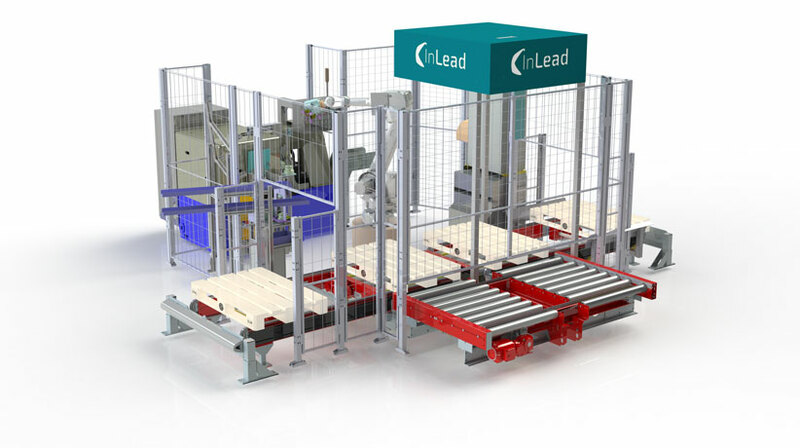 The components are placed in a pallet tipper and tranported by conveyor belt to the robot. A Vision camera placed above the belt guides the robot. Before exiting the cell the component passes a control station. In this project we installed a user friendly interface in the robot’s programming unit. An ABB 4600 removes plastic details from an injection mold. 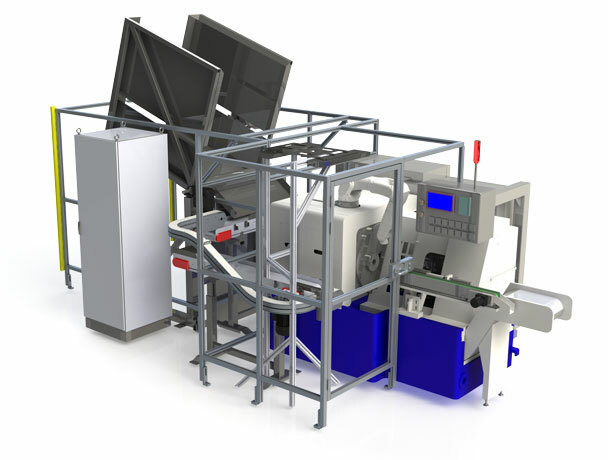 It cuts off ingot, provides full casting control, laser measurement and stacks the components on the exiting conveyor. The entire cell is run by a separate operator panel making it easy to operate. 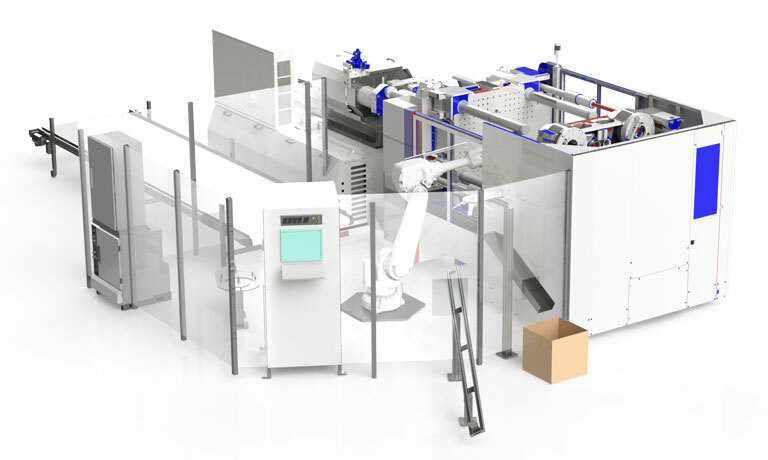 To ensure success we sometimes install special solutions in our machines and robots. 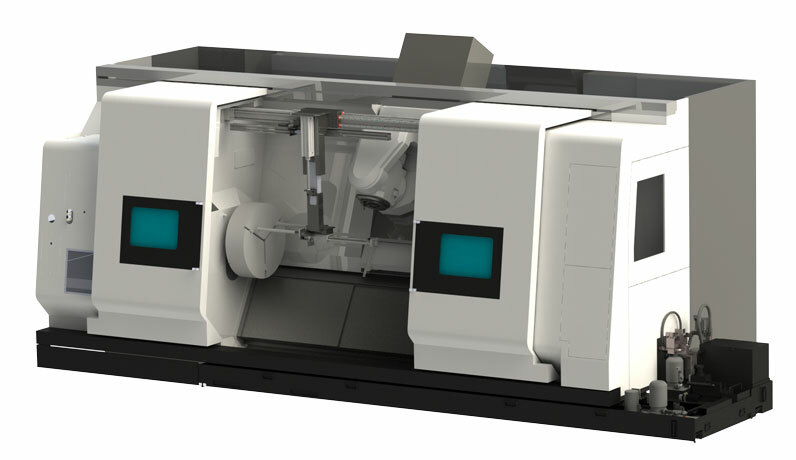 This may involve fixtures, Vision, laser measurement, feeding solutions and so on. We have also modified several CNC machines to meet the demands of our clients. 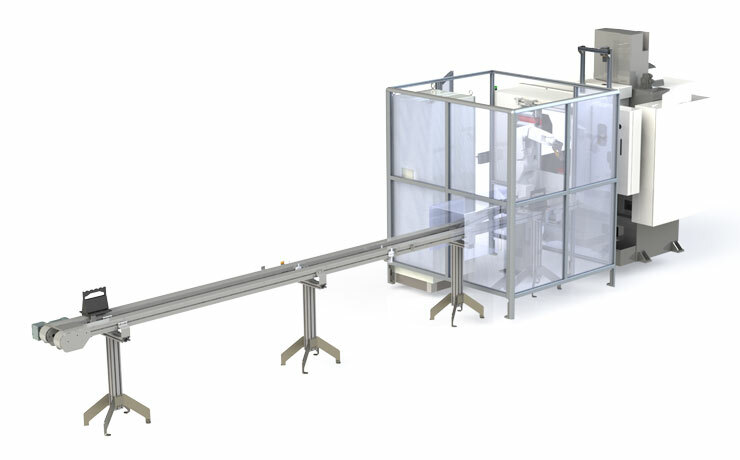 In the picture above, we have placed a 3-axis portal inside the processing room of the lathe. The portal catches substances cut from a solid piece making it possible for the lathe to finish turning the entire piece before stopping, which was not possible before.